Are your sales slowing down? Do you find cold-calling to be an arduous process with little or no success? Then you need to consider networking to increase your sales and put more money to the bottom line. Many people do not realize the value that networking can provide to their business. You can start by creating a list of family and friend’s then, ask each one of them to supply you with as many names of people who they feel can provide products and services so you can recommend their services. This will provide you with a good start and you can build your network quickly utilizing these immediate connections because the trust factor has already been established through your friends and family. Once you have embraced the success of networking you will want to take it to the next level by joining an organization or group that specializes in networking. 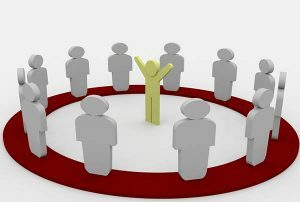 A good networking group will provide you with a serious group of entrepreneurs who are looking to help one another by passing quality leads and referral to one another. The individuals with the highest success rate are usually the ones who provide referrals first and do not ask for anything in return. Building trust and rapport among your colleagues is a sure way for you to get better quality referrals as well. Networking success will come in various ways, but don’t expect quick results. Networking is in many ways like farming, you have to work hard before you can harvest the crop. The hard work begins with you creating and exciting way of getting your message across to your peers so they know exactly what to look for in order to refer someone to you. This is sometimes called your elevator pitch and it needs to be honed and practiced to perfection. It is never too late to start networking and growing your business for success.